The 5212 connects easily to the high-speed Garmin Marine Network, so you can interface with additional MFDs and add remote sensors. Once connected, you can share information between the 5212 and other chartplotters on your boat. You also can add high-powered radar, sonar and XM satellite weather and radio to your system. 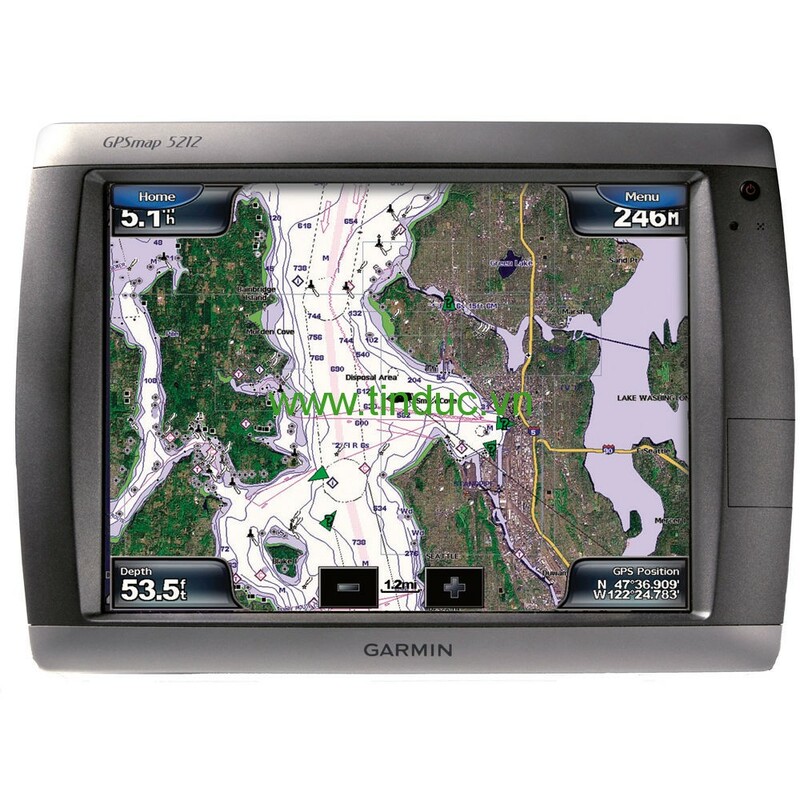 The GPSMAP 5212 features an unprecedented touchscreen interface, along with preloaded BlueChart® g2 maps of the U.S. coast and a whopping 12.1" (30.73 cm) screen that makes navigation as easy as pointing your finger. By connecting to the Garmin Marine Network, you can add sonar, radar and weather. For even more advanced features, you can add the optional BlueChart® g2 Vision® card (sold separately). The GPSMAP 5212 features highly-detailed BlueChart g2 marine cartography of the coastal U.S., including Alaska, Hawaii and the Bahamas. For other areas, the 5212 has a worldwide basemap with high-quality satellite images in place of more traditional maps. With the SD™ card slot, you can add additional maps without having to connect to a computer. The 5212’s huge XGA screen displays graphics with crisp, video-quality resolution. To keep tabs on your engine room or other area of your boat, you also can connect a live video feed with the 5212's video input/output options.